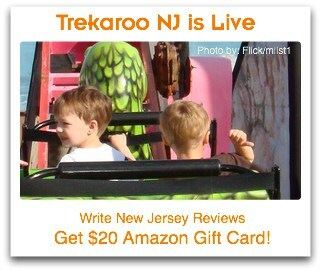 In celebration of the New Jersey Launch here on Trekaroo, we are once again breaking out the Trekaroo KidsMobile. When visiting someplace new, the best advice usually comes from the locals! I’ve had the pleasure of rounding up some great bloggers that call New Jersey home. They have all weighed in on some of their favorite places to hang with their kids and we wanted to share with you! After checking out their recommendations, be sure to stop by each of their sites for a chance at some fun giveaways. Before you think to overlook New Jersey as a travel destination, think again. This state sandwiched between two of the most historic cities in America, Philadelphia and New York, offers a diverse array of destinations for families. The Jersey Shore and Southern Shore are undoubtedly a big draw for families. Quaint beach towns like Cape May will charm you with their Victorian architecture, while lighthouses and wildlife experiences beckon. The agricultural areas around the Delaware River are dotted with small communities where the pace of life is relaxed. Enjoy outdoor activities and the simple life by visiting the many farms. The land opens up as you travel north to the Skylands area where beautiful vistas abound. A perfect setting for a Castle! Skylands Castle will marvel your little girls. Which of these wonderful experiences will you add to your family’s bucket list? Top 10 Things for Families to Do in New Jersey. Our first stop is all about where to grab a bite to eat while vacationing at the Jersey Shore. A long day at the beach tends to leave you hungry. Chris Fotache is the face behind Jersey Shore Vacations. You may remember him from the article we did on Renting a Vacation Home . Once again he comes through with some great advice and recommends his favorite family-friendly restaurants at the Jersey Shore for you to try out with your kids. Stop by Chris’s site for your chance to win 2 Exhibit Passes to Liberty Science Center! Next up, Rita from Yippy Momma brings you some of her favorite parks and fun outdoor experiences in Northen New Jersey to explore with your kids. Rita is the mom of one lil’ man and has another on the way. She started her blog as an online journal for her thoughts and along the way she has found many people with whom she feels a kindred connection. I hope Rita finds us here at Trekaroo to be some kindred spirits! Stop by Rita’s site for a chance to win customized iPhone case by Shutterfly. Now we pull up to the train station for a list of 5 hot family-friendly railroad attractions throughout New Jersey. Barbara’s blog, Homeroom at Home, and business help provide parents and caregivers with resources to provide educational experiences outside of the classroom. She believes that by incorporating mini lessons into our family routine we can enhance our children’s learning. Hop over to Barbara’s site for a chance to win a Shutterfly 36×27 Photo Wall Decal. 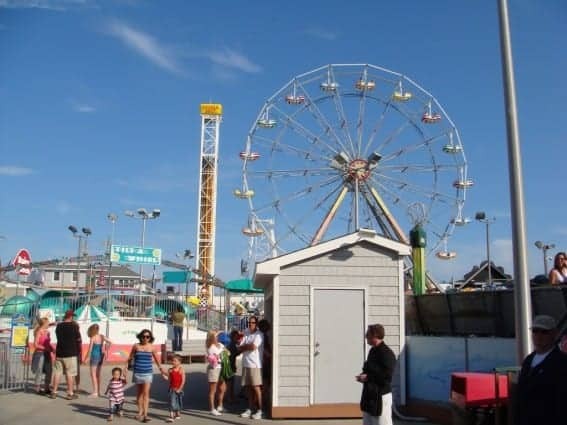 If adventure is your game than Julie has the list for you with the top kid-approved family amusement parks in NJ. Julie has two kids; one boy, one girl. You can find her sharing her tales at The Other Boufs. Visit Julie’s site for your chance to Win $40 to spend on Tiny Prints Custom Greeting Cards. Write NJ Reviews and Get $20 to spend on Amazon.